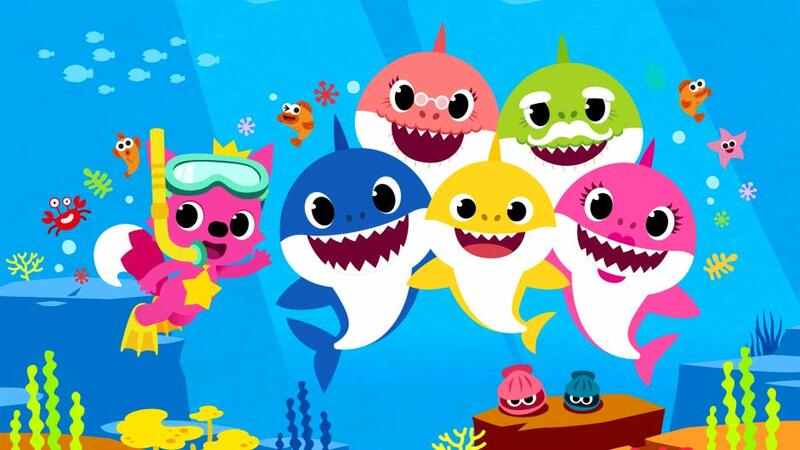 Pinkfong, makers of the most popular (though not the only) Baby Shark video on YouTube, has announced that they have plans to bring a baby Shark series to Netflix, the world’s most popular streaming video service provider. Every parent will recognize the now famous Baby Shark song as the unforgettable (no matter how hard we try) theme that haunts our nightmares. It is also the catchy tune that their preschoolers sing repeatedly though out the day. Everyday. All day. The song follows a family of sharks on a brief fishing adventure and contains a whole lot of “doo doo doo”s. Since Pinkfong loaded the video onto YouTube in 2015, it has amassed over 2 Billion (with a “B”) views, making it one of the top 100 YouTube videos of all time. No word yet on when the new Pinkfong/Netflix collaboration is set to begin airing, but my advice is to invest heavily in companies that produce alcoholic beverages and plush Baby Shark toys that fiscal quarter! In the words of the great philosopher Bluto, I plan to “start drinking heavily” when it launches. He was pre-med, if you recall. Next Sonic Adding Deep-Fried Oreos To It’s All Day Menu! this totally looks like something my niece would love watching . I’ll have to elt my sister know! My grandkids and nephews will love to hear this! They love everything Baby Shark! Oh my!!! my nieces have to hear about this. We haven’t recovered from this song in my house…. there’s a 7-month-old baby that dances to this song EVERY DAY. I’m surprised by how many people say they are excited by this! I’m feeling extra thankful that my four year old daughter is a huge Star Wars and George Strait fan and can’t sing a single children’s song. I heard the Baby Shark song once and that was plenty. It’s amazing how companies now can use platforms like YouTube to pitch their ideas. Something like this was never possible before. I wish you luck now that I’m sure your little ones will be singing their songs all the time. I’m not familiar with baby shark – my son is 7 though so maybe this was after his time?